Beige A-line kurta set by Sailesh Singhania at AASHNI+CO. 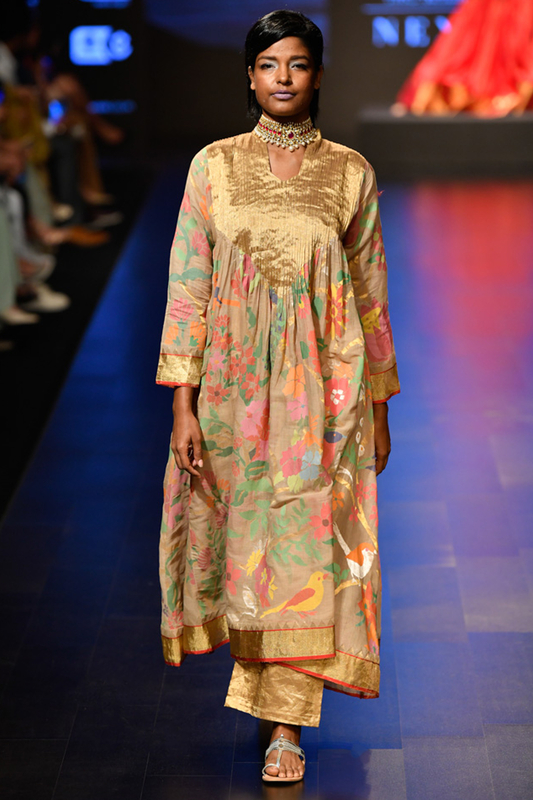 Sailesh Singhania dresses you immaculately in luxurious weaves featuring a beige A-line kurta with floral prints and paired with a golden tissue palazzo bottom with minimum flair. Style the look with paisley motif jhumkis and a capsule clutch.